With its sharp attack and minimal sustain, the Bluegrass Series RK-R20 Songster Banjo is a great beginning resonator model. 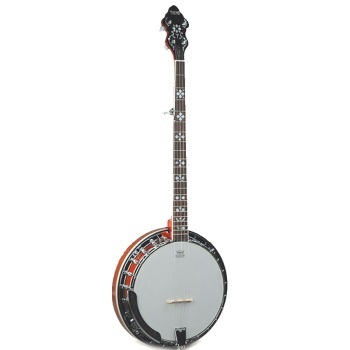 The banjo features an inlaid mother-of-pearl peghead inlay and heart-shaped position markers, plus a rolled brass, hoop tone ring, planetary tuners, and a bound rosewood fretboard. Case sold separately.